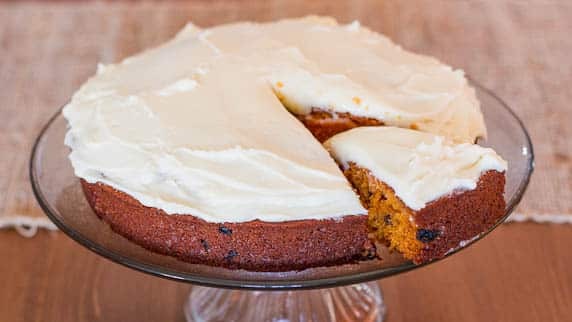 Mystery Cake with Cream Cheese Icing – the secret ingredient will surprise you. The popular mystery cake that dates back to the 1930s. I’m super excited to share this recipe with you. This recipe for mystery cake dates back to the 1930s and this cake used to be very popular. You may wonder why it’s called mystery cake and the answer is simple. The special ingredient used in this cake may surprise you. No lie! Not too worry though, there is no tomato taste in this cake at all. The reason tomato soup was used is because during the 1030s ingredients such as butter and eggs were precious and hard to come by so women had experiment with other ingredients. 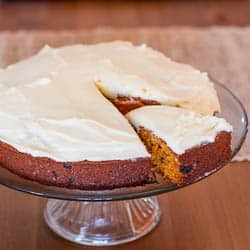 The tomato soup makes this cake moist and very little butter and eggs are used. So that’s my little history lesson for today. 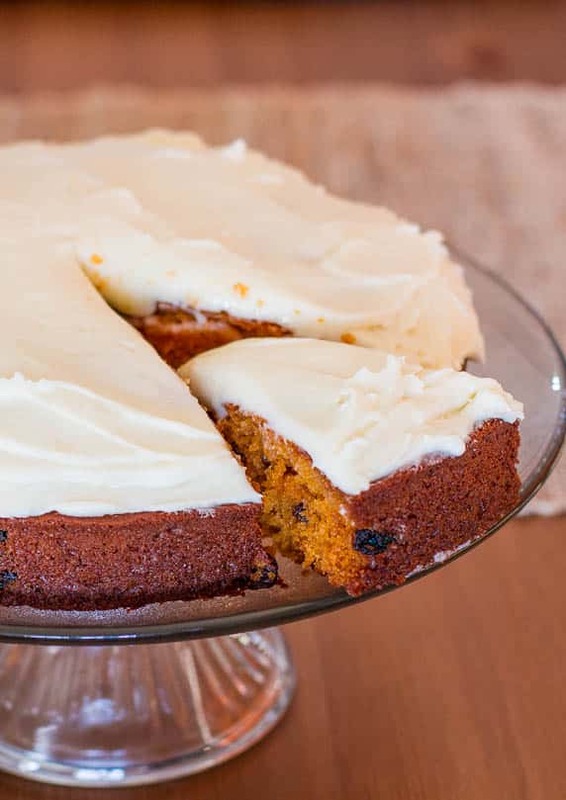 This cake can be enjoyed all by itself or you can make this phenomenal cream cheese icing. 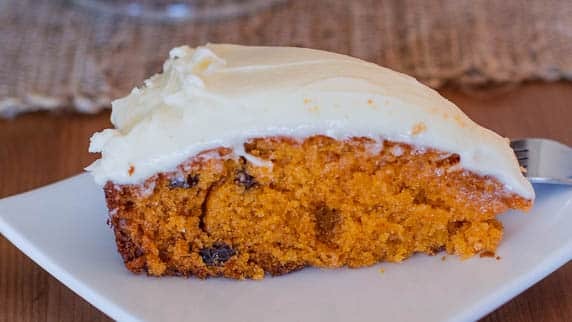 I served this cake for a BBQ we had this past weekend and I wouldn’t tell my family what was in the cake and nobody guessed it, it was compared to a carrot cake, but everyone loved it. Preheat oven to 350°F. Spritz a 9" round cake pan with cooking spray. Line with a parchment circle and spritz with spray again. Combine baking soda with undiluted soup in can. Let foam for 1 minute. Pour soup mixture into butter/sugar/egg and blend well. Mixture will look slightly curdled. This is normal. In a small bowl combine flour, baking powder and cinnamon. Whisk well and add to tomato soup mixture. Beat together for 1 minute on medium speed. Pour into prepared pan and bake for 30-45 minutes depending on your oven, insert toothpick and if the toothpick comes out clean it's done. Cool on wire rack and ice as desired. To make icing, mix butter and cream cheese together until smooth, add powdered sugar half a cup at a time and mix for a couple minutes. Add in vanilla and mix. Spread icing over cooled cake. Judy, I will gladly send you tomato soup…you really need to try this recipe.